In Florida, a married couple’s assets are divided into two categories: marital assets and separate property. The former generally refers to all property that is acquired by either spouse during the course of their marriage, while the letter is made up of assets that the parties brought into the marriage. When a couple decides to get divorced, all of their marital property must be divided, a task that can be quite daunting for couples who have been married for a number of years, have acquired a significant amount of property, or have been left an inheritance by a loved one. Retaining an experienced legal representative can be crucial to the success of grappling with these issues, so if you and your spouse have decided to dissolve your marriage, it is important to contact a Fort Lauderdale property division lawyer who can ensure that your settlement agreement is fair. Are Inheritances Received During Marriage Treated as Marital Property? In Florida, only assets that are considered marital property are divisible by the courts upon divorce. For this reason, properly determining which of a couple’s assets are separate property and which qualify as marital assets is extremely important to the property division process. Generally, all assets acquired during a marriage are treated as marital property, regardless of who purchased or received them. There are, however, a few exceptions to this rule. 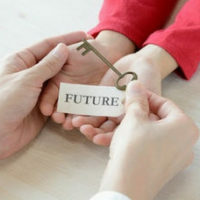 For instance, inheritances that are bequeathed to only one spouse during a marriage are considered separate property, and as such, do not need to be shared with the other spouse during divorce. The only exception to this rule applies in cases where the spouse who received the inheritance decided to share that legacy with the other party by putting the funds into a joint account, or by placing marital funds into the account that contains the inheritance. This type of commingling of assets negates the presumption that inheritances received by one spouse during marriage are separate property, which means that the inheritance will qualify as marital property and so must be divided equitably upon divorce. Although it is possible to retain a portion of one’s inheritance as separate property, or to prove that sharing the inheritance was not the intent of the recipient, doing so is a difficult task. For this reason, many couples with inheritances are strongly encouraged to avoid having the court divide their property by coming to an out-of-court settlement agreement. If the recipient spouse is willing to give up his or her right to another asset, that individual could be able to keep the inheritance out of the marital estate. However, even when a couple is able to come up with their own settlement agreement, it will only become official after a court approves it, which means that divorcing parties need to use great care when negotiating to ensure that the resulting agreement is fair and equitable to both parties. Divorce-related legal matters can be complicated and require the assistance of an experienced property division attorney. For help with your own property division-related matters, please call dedicated property division attorney Sandra Bonfiglio, P.A. at 954-945-7591 today.